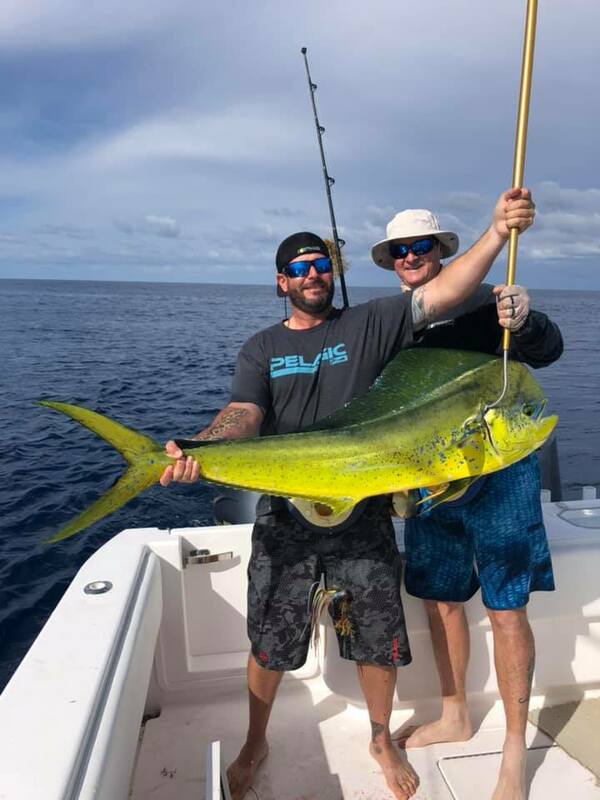 We had several days of calm seas this past week and some of the guys with bigger boats ventured to the Otherside to look for yellowfin tuna. They did pretty well for themselves, to say the least. 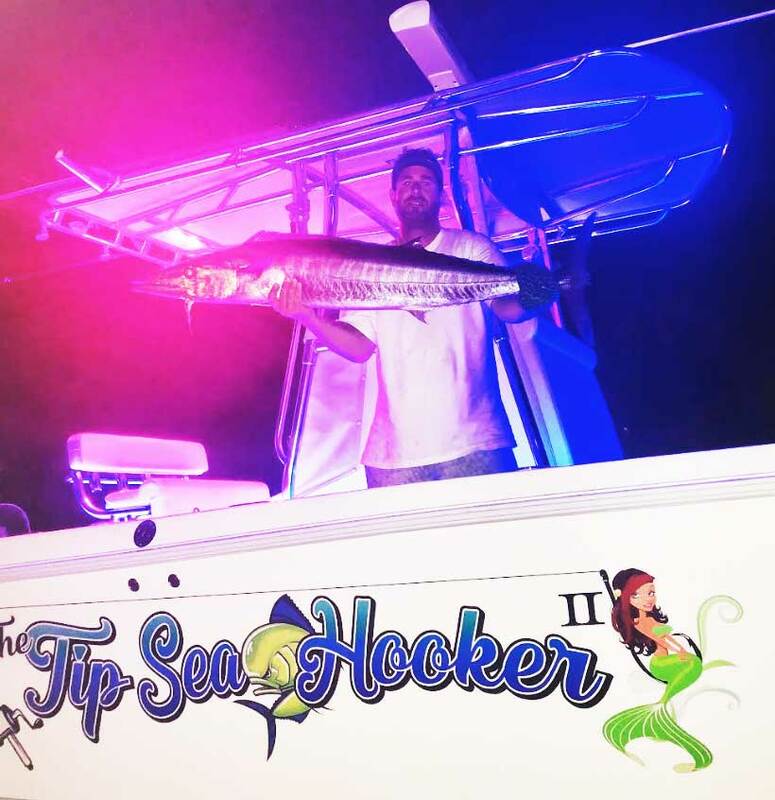 Adrian Martinez of Handler Fishing Supply in Merritt Island and some friends were among those with really impressive hauls. 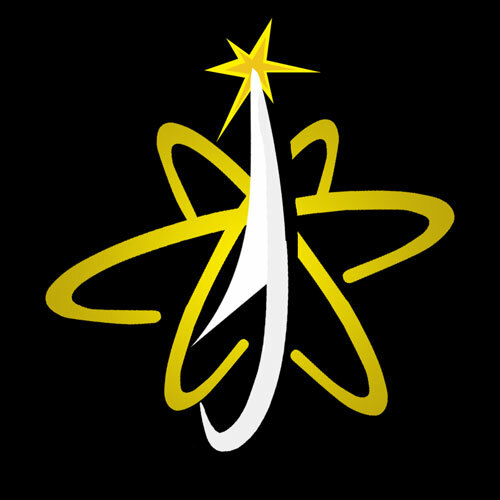 Nice job, guys! Capt. 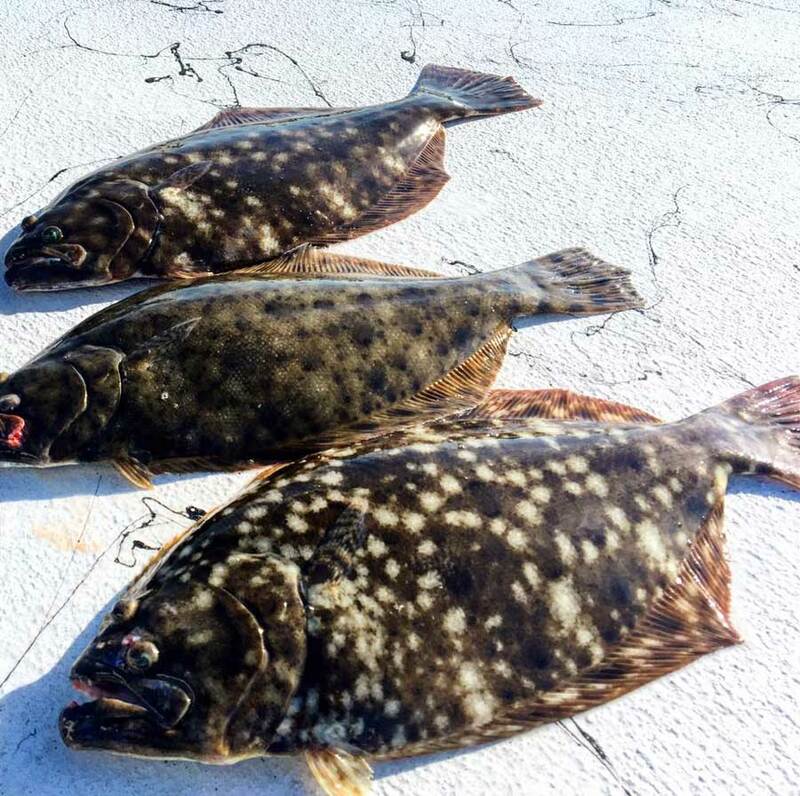 Troy Perez happened upon this redfish FRENZY yesterday off Port Canaveral. What an amazing sight! 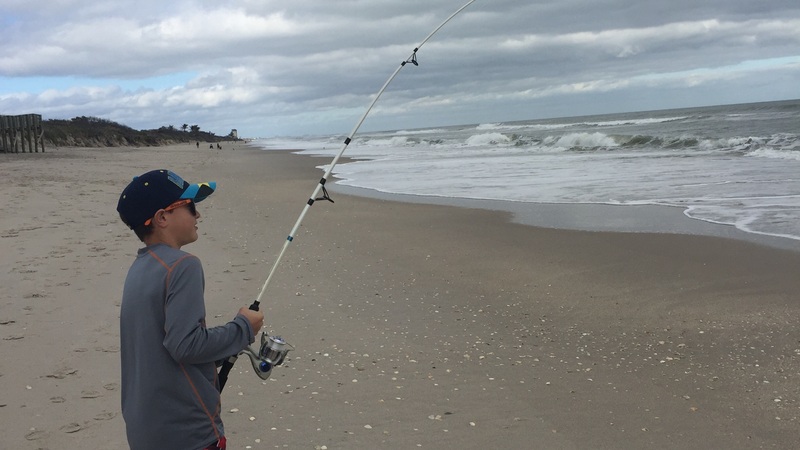 Satellite Beach Surf Fishing Slam! My brother Darren was in town this past week so we decided to hit the surf here in Satellite Beach for some late afternoon fishing. My youngest son Dylan joined us as well. 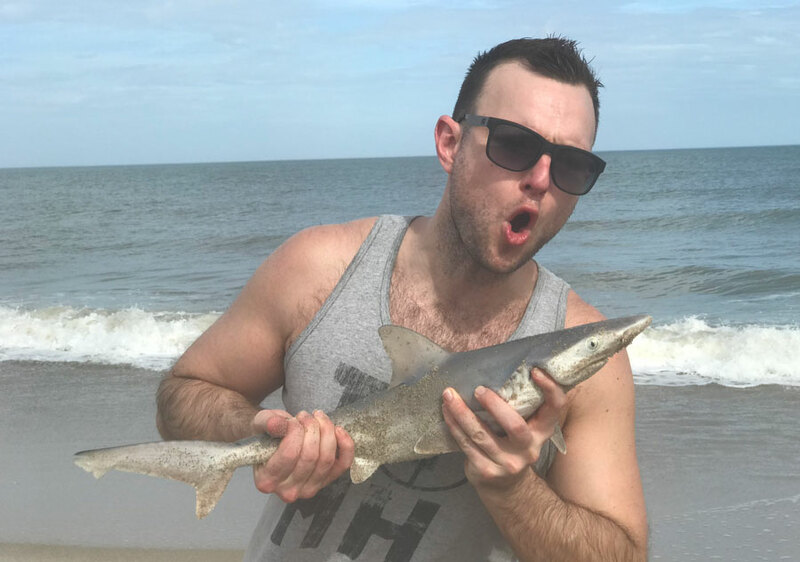 He is a fishing fool and I love every minute of it! I have noticed mornings and evenings seem to be the most productive time lately. We only had a couple of hours of daylight to work with. Before going, we visited Man Overboard Bait & Tackle to pick up some live sand fleas. 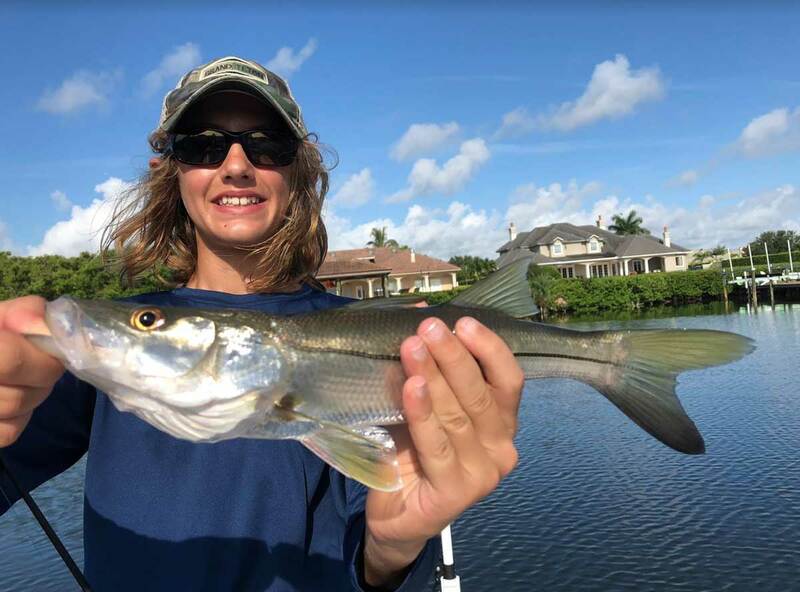 We had a nice collection of baits with us which consisted of Native Salt Clams, frozen shrimp, Fishbites and live fleas. 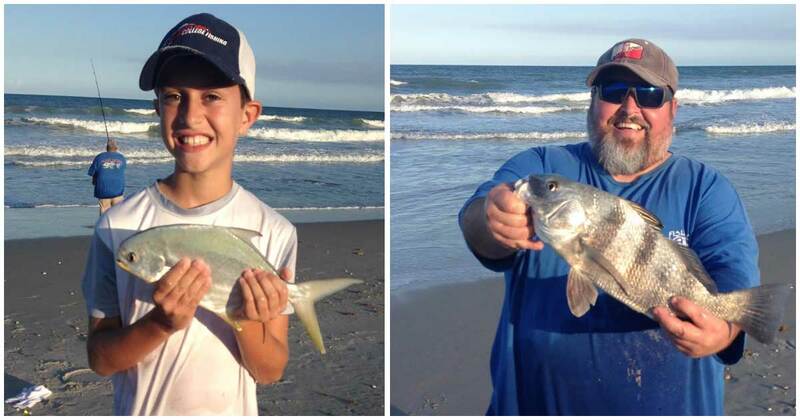 For tackle we were using a Pompano Rigg’s by Couture set up with white floats and a 4 ounce pyramid sinker. 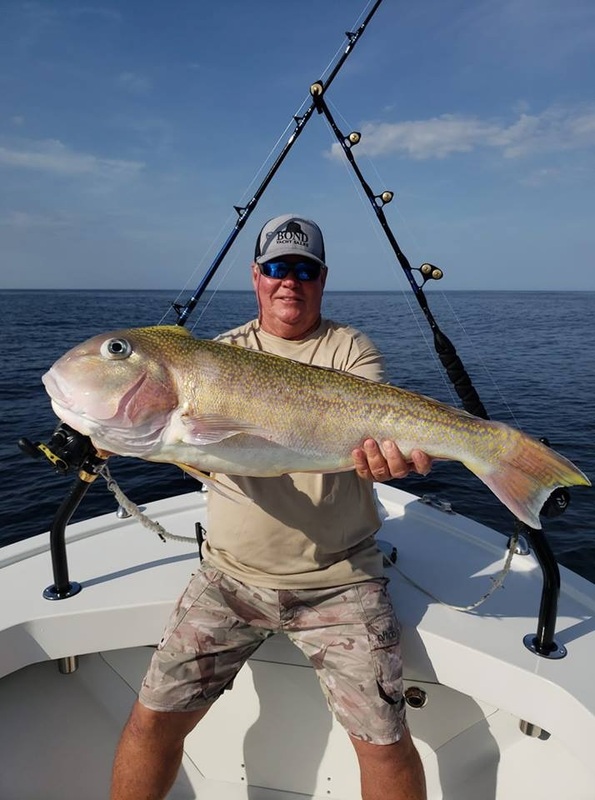 Spacefish checks in with the Mark Moses Show on Sports Radio 1960AM THE FAN to talk some Space Coast fishing! Tune in every Friday at 4pm to hear the show live! Ah, sweet summertime. When I think back on some of my fondest memories as a kid, I can’t help but think about those hot summer days with no school in sight. What should we do today? TEAM SPACEFISH HITS THE SURF! 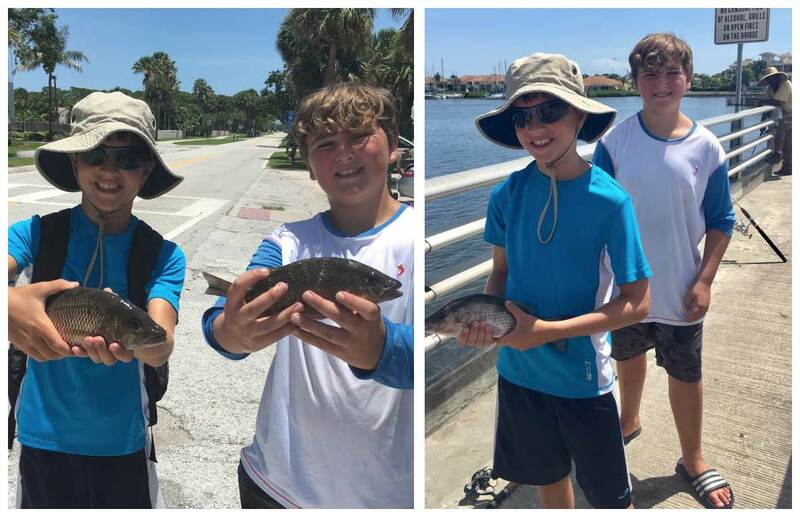 We caught black drum, sharks, croakers, pompano, whiting, etc. 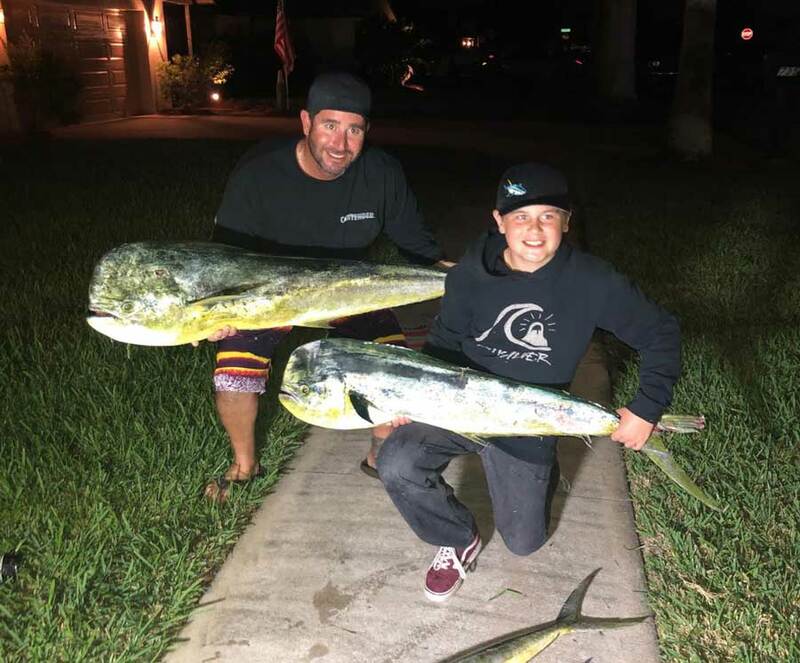 Really, that’s all I wanted to do anyway was have some good laughs with my boys and bend a rod hoping to bring home a few fish for dinner — and we did just that. What am awesome day! 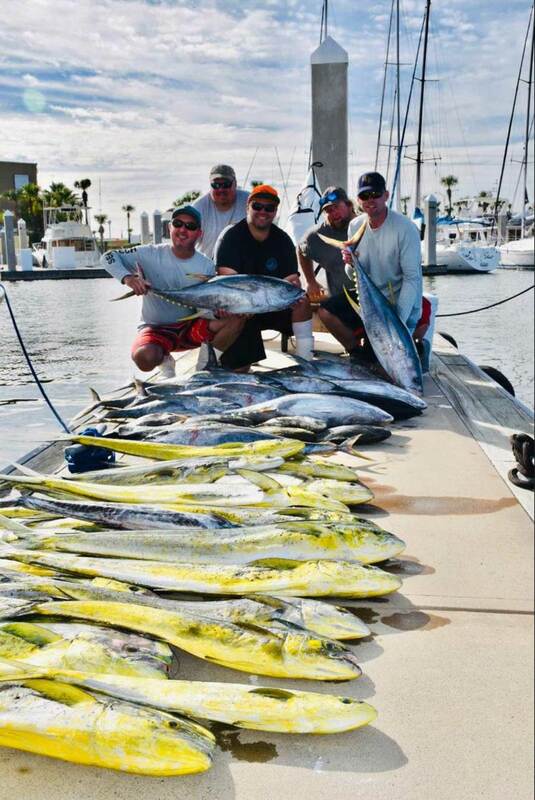 Chad Paulsen of Blue Marlin Real Estate got in on the dolphin action, too! Billy & son AJ on the dolphin this weekend. Capt. 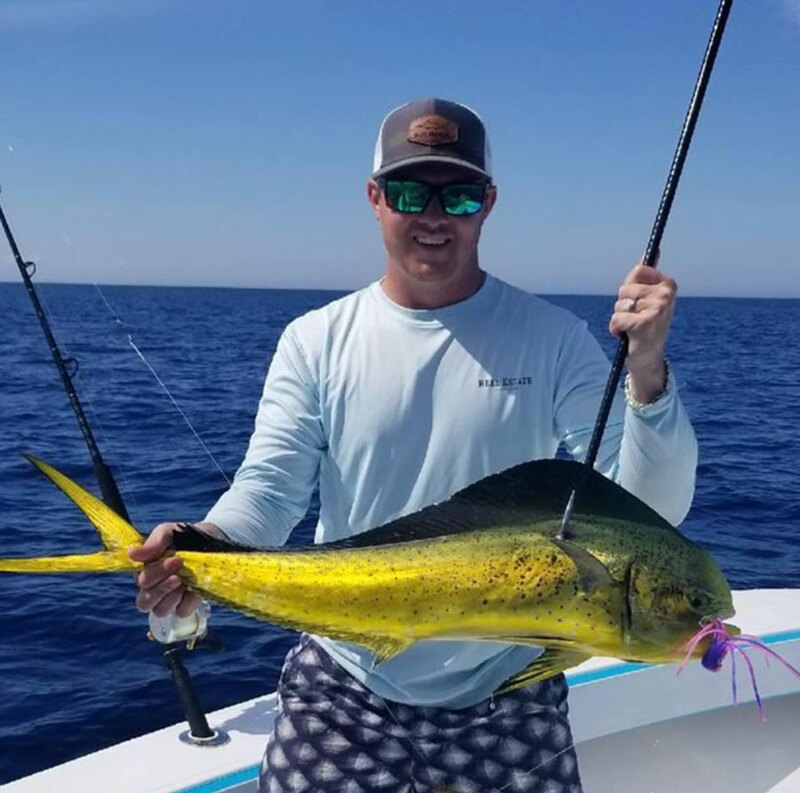 Steve Goff on Southern Charm was back on the ‘phins again this week! Capt. 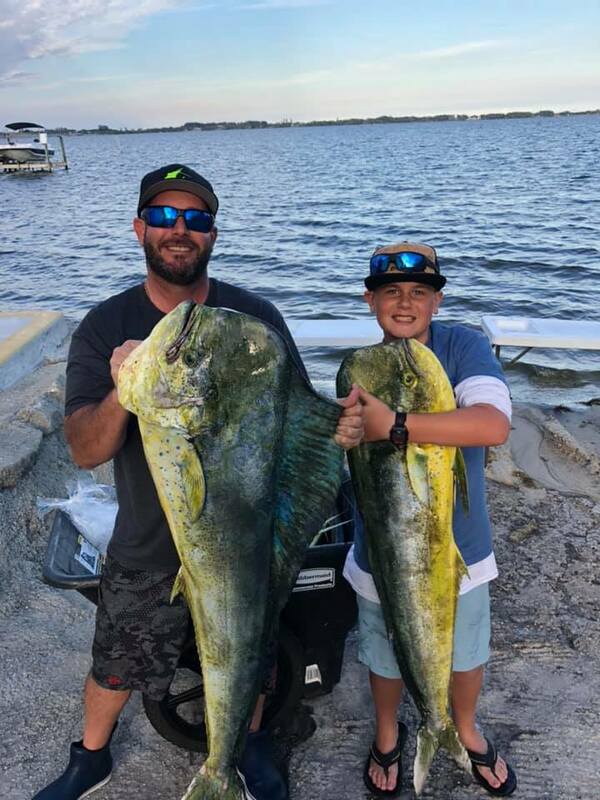 Charlie Silver on Anglers Envy putting his boys on a serious tuna bite! 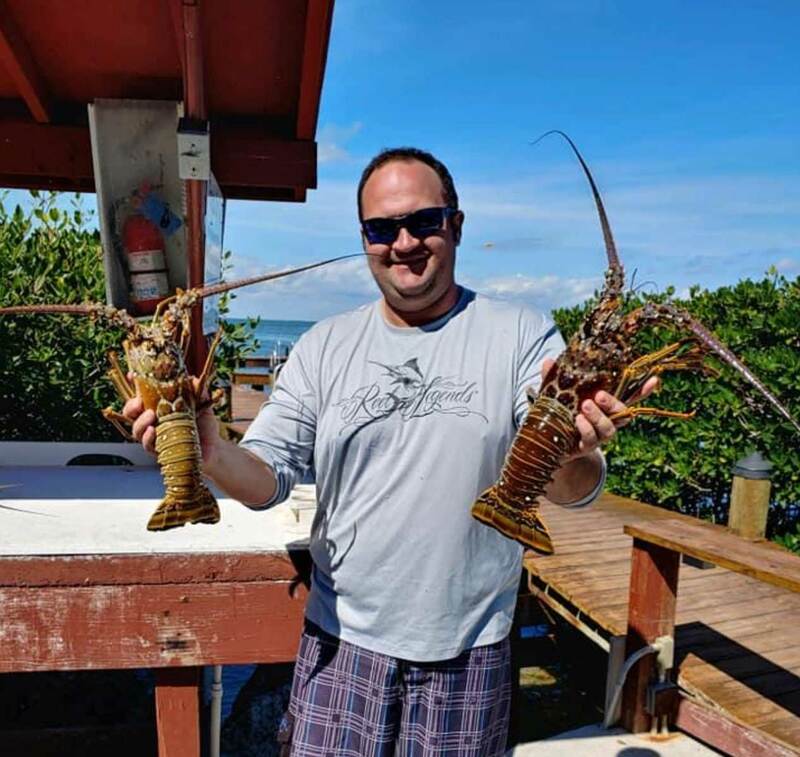 Chris Schollmeyer with a couple nice lobster on his family vacation in Key Largo. 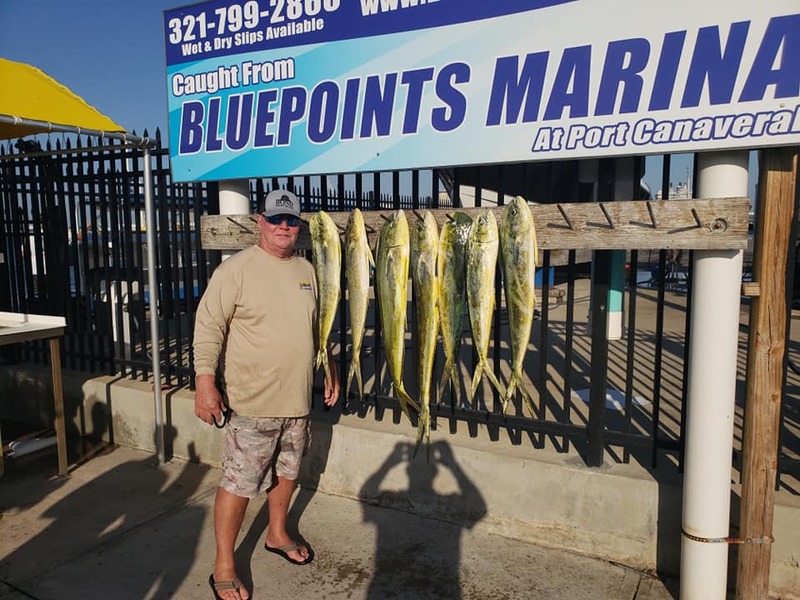 Last Thursday, Steve Goff of Sunstate Pest Management went offshore and scored some dolphin aboard his boat, Southern Charm. Awesome job, guys! 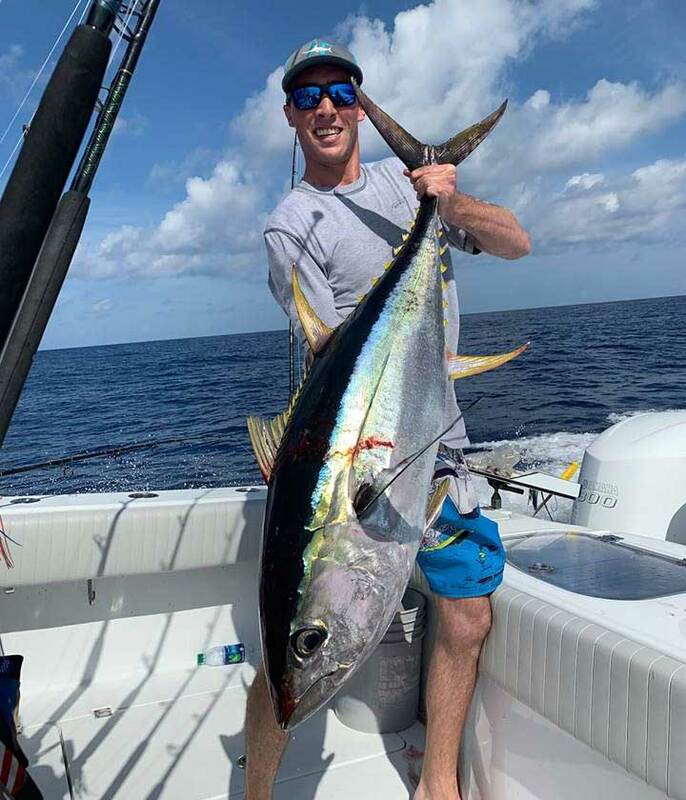 Billy with a monster wahoo!